$3.50 per graft up to 1900 grafts, $1.00 after. $6.30 per graft up to 1500 grafts, $6.10 after. We understand that though a person’s appearance is connected to their well-being, there is a limit to what a person can spend to restore their hair. We have no interest in being the most expensive hair transplant clinic. We also understand that a hair transplant procedure is detailed, artistic work that should not be contracted to the lowest bidder. 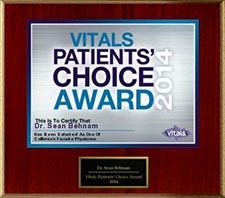 We want our patients to value what they receive at our clinic. The time spent in the consultations to make sure each person gets an honest clear assessment of their hair loss, what can be done, and what can be expected. 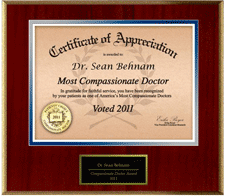 The attention to detail that is given by Dr. Behnam and his technicians. 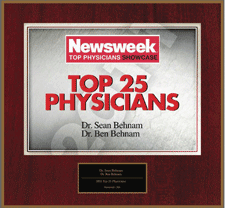 We think it should be valued that we only perform one surgery per day so Dr. Behnam and the technicians make the procedure a personal experience not a rushed assembly line. We feel that our prices are affordable for the patient yet a fair compensation for the quality of service we provide. Additional discounts are given to patients who take cancellation days with short notice (usually one week). For a limited time we are offering an across-the-board 10% discount. All prices below are after the 10% reduction. $3.50 per Graft up to 1900 Grafts. Grafts after 1900 will be $1.00 each. 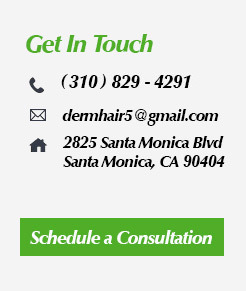 In the consultation, Dr. Behnam will measure the area that needs hair and also calculate the number of grafts that may be extracted in one procedure. $6.30 per Graft for the first 1500 grafts. $6.10 per Graft for remaining grafts. ***The Cost of Hair Restoration is definitely worth it, if this is right for you so please schedule a free consultation so that we could determine if you are in fact a great hair transplant candidate, also so that we can answer your many questions you may have about hair transplants and give you purely un-biased answers. We know a procedure such as this requires a great deal of research to price match, and find the best doctor.